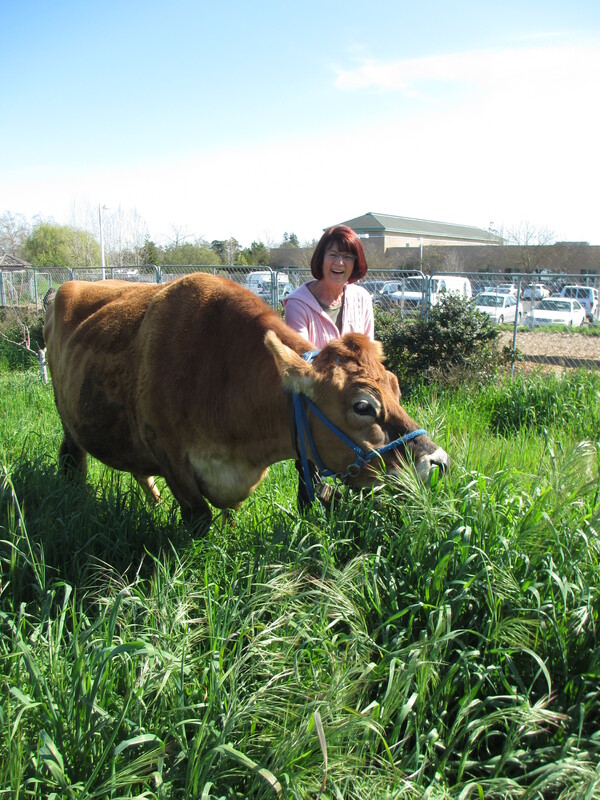 Founder of Forget Me Not Farm Carol RathmannAfter spending over 20 years as a veterinary technician, Carol Rathmann began working with the Sonoma Humane Society and took an interest in the connection between child and animal abuse. At the time, she did not see many people using animal-assisted therapy for abuse survivors, so she decided to go to graduate school to receive a degree in psychology with a focus on animal-assisted therapy in order to learn more about this area. In 1992, Rathmann founded Forget Me Not Farm Children’s Services as a program to teach child abuse survivors empathy through animal-assisted and horticultural therapies. In 2008, the farm officially became a nonprofit subsidiary of the Sonoma Humane Society in Santa Rosa, California. The nine acre working farm is located on the grounds of the Humane Society and involves three fulltime staff members, one part time staff member, one weekend caregiver, and about 75 active volunteers. Each year, 250 to 425 children who are survivors of abuse visit the farm to interact with animals and plants. Forget Me Not Farm works closely with agencies in Sonoma County that oversee the population of children who have backgrounds of abuse or neglect. The farm offers two main no-fee programs for these children. 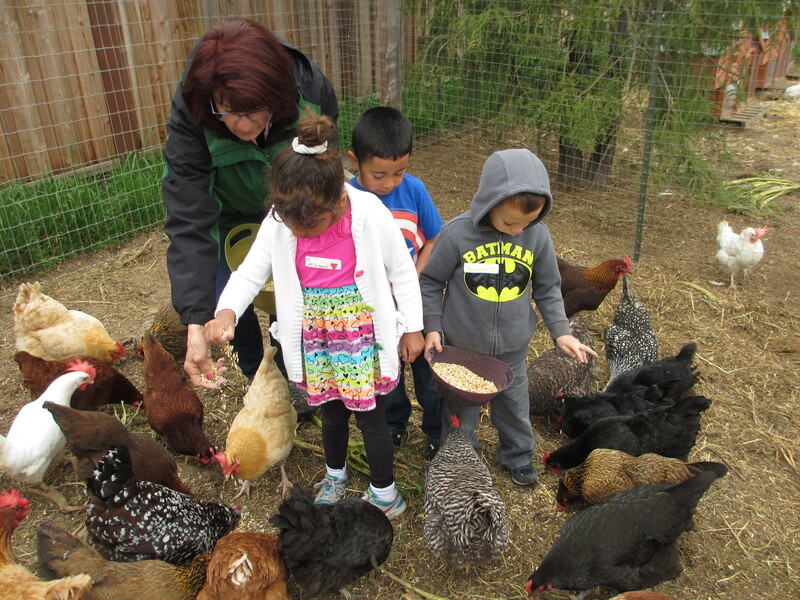 The farm program is designed for children ages three to 18. The children visit the farms in small groups for 60 to 90 minutes each week to take part in an animal interaction, gardening, and snack time. The children have the opportunity to help care for the farm’s 20 farm animals and flock of 30 hens. Depending on the day, the children may help clean stalls, groom, feed, or simply spend time petting the animals. Because of the farm’s location, the children also have exposure to the animals that are located in the Humane Society. The mentoring program is open to at-risk teenagers and foster children between 14 and 18 who lack support from adults as mentors. Rathmann decided to begin this program ten years ago after seeing children lose services at 18 and lack the skills necessary to lead a successful life. The children in this program are matched with a mentor who helps teach them vocational skills by working at the Humane Society or farm. Currently, there are about 35 matched pairs in this program. Each week, these pairs meet and the teens have the Children have the unique opportunity to learn to care for animals at Forget Me Not Farmopportunity to work in one of the 15 departments within the Humane Society. Some of the areas that teens are currently working in are grooming, medicine, and behavior and training. All of the animals on Forget Me Not Farm are rescue animals, mostly from local areas. Currently, the farm includes llamas, alpacas, guanacos, sheep, cattle, horses, ponies, donkeys, pot-bellied pigs, goats, and chickens. Since the farm is not located on a large piece of land, all of the farm animals live together in the same barn and share a pasture. For this reason, Rathmann and her team must ensure that the animals for their programs get along and are comfortable sharing a space with other species. Additionally, all of the animals must be safe around children and, ideally, enjoy interacting with people. However, the animals do not necessarily have to be friendly and are free to walk away from the children, as interactions take place without any halters or lead ropes. This helps teach children that living beings have different personalities and that it is acceptable to walk away if you are uncomfortable in a situation. Children learn that they can build loving relationshipsRathmann believes that farm animals are ideal for work with abuse survivors because many of these children do not have the lightest touch and are learning to pet animals softly and lovingly. Additionally, the children are able to learn to have a positive interaction with larger living beings and establish trust. “For many of these children, their only experience with bigger living things has been with an abusive adult in their life,” said Rathmann. The main goal of Forget Me Not Farm is to give children a sense of empowerment and help them learn to love and be loved. Because of the trauma that these children have experienced from their parents, many of them feel betrayed and unlovable. Forget Me Not Farm has done some studies to research the efficacy of its programs. One study suggested that children who had visited the farm had better behavior in school and on the farm. Results have also suggested that children do better in school if they know that they are coming to the farm later on. In one instance, a young girl had never spoken until she came to the farm and said her first word during a visit. The farm environment is also relaxing which makes it an easier learning environment than a classroom for many children. Every day Rathmann sees children learn to work as team, develop positive relationships, become nurturing, and care for other living beings. Above all, the children get to feel like normal children for one of the first times in their lives. Rathmann and her team do not know the history of any of the children and do not discuss their histories. She believes that the children already have constant reminders of their lives and their pasts and do not need that reminder while at the farm. For more information about Forget Me Not Farm, visit their website.